Viotek is a popular brand on Amazon that makes some of the cheapest monitors. Today we’re looking at a monitor from a less known brand, but one that is hugely requested by budget gamers – Viotek. 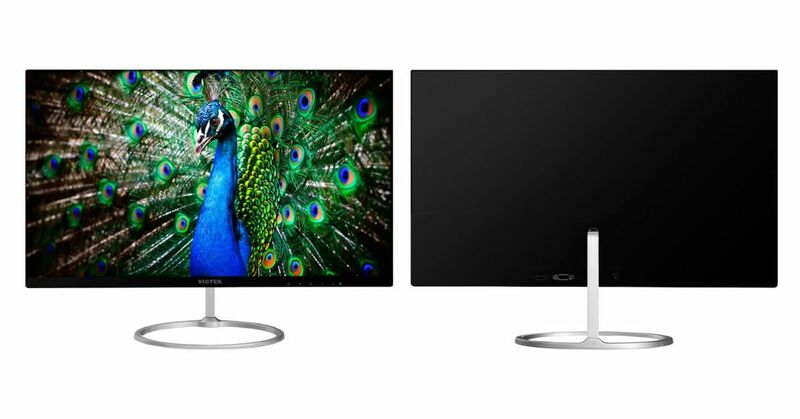 They are popular manufacturer on Amazon and make some of the cheapest monitors, so if you are interested whether this monitor is worth buying, please continue reading. The monitor we have to review today is the Viotek HA238. This flat display is 24-inches in size and packs a 1080p LED that tops out at a 60Hz refresh rate. 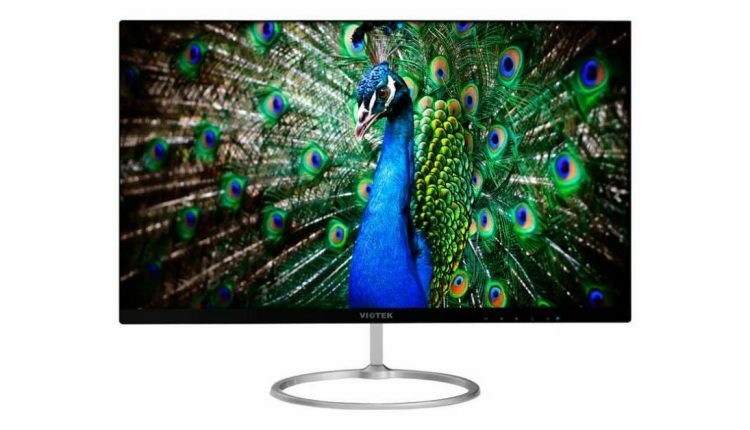 The Viotek HA238 is just 13 inches thick monitor with a bezel-less frame that provides a modern and sleek aesthetic appeal. Its material is reliable and sturdy, for how ultra-thin the unit is. The main complaint we have is the none adjustable stand. The HA238 comes with a stand that cannot be height or left/right adjustable, it allows only for tilting upward/downward, but you can’t raise or lower the height. If you can, get a lift stand to raise the monitor to eye level as it is below the eye level for most normal desks. For some people, the resolution at 1920 x 1080 may not be good enough in the 4K world, but for casual users, it is just what they need. Full HD 1080p is best for a monitor at 24 inches and smaller sizes while offering reasonable sharp display and balanced performance. The picture clarity of HA238 is awesome, colors are crystal clear and the 24-inch size is good for the purpose of keeping up with daily computer tasks. 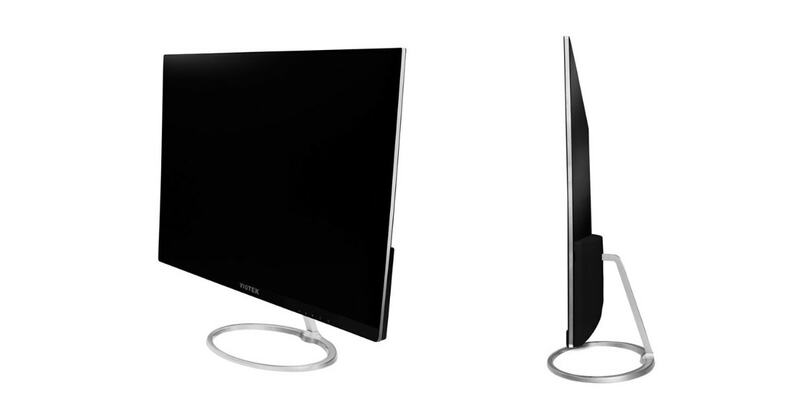 This bezel-less monitor is designed for office or standard home use, and for that purpose, it is a great option. Is it good for gaming? We don’t think so. The Viotek HA238 is a 1080p monitor which is still a suitable resolution for modern gaming, but the refresh rate of 60Hz is not enough for good gaming experience. Need a decent budget gaming monitor? Go for 120Hz or 144Hz. Acer GN246HL or ViewSonic VX2458 have the same size, similar price, but come with all the important features modern gamers need. Speaking about features, you will love the sleep function of this monitor. You don’t need to touch the power button on the monitor, it turns off automatically when the PC powers down and even sleeps when the computer sleeps. Most monitors will have a range of different inputs available, and the Viotek HA235 comes equipped with both HDMI and VGA connections. If you need a DVI video input, buy an adapter. For more information about the difference between every display connection available, read the article on ExpertReviews. 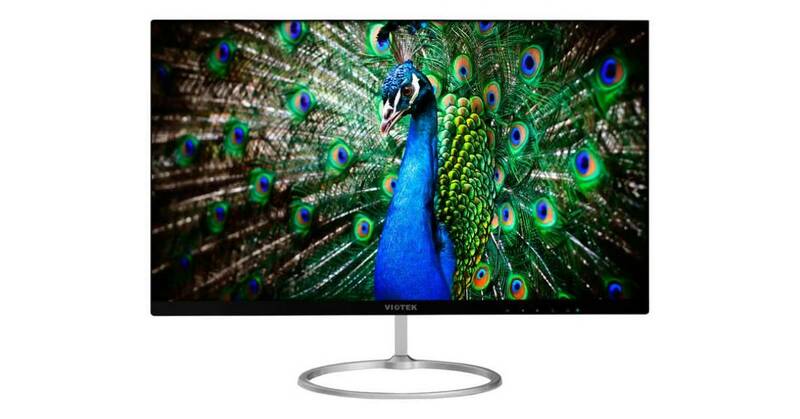 The Viotek HA238 is an interesting ultra-thin monitor. It doesn’t look boring thanks to its bezel-less design and gives a casual user a surprisingly good visual performance if you keep in the mind the fact that it has an only 60Hz refresh rate, which is not good for gaming. If you need a monitor for office or a second one for normal PC use than the HA238 is a really solid LED monitor for a great price. If you need a monitor for office or a second one for normal PC use than the HA238 is a really solid LED monitor for a great price.